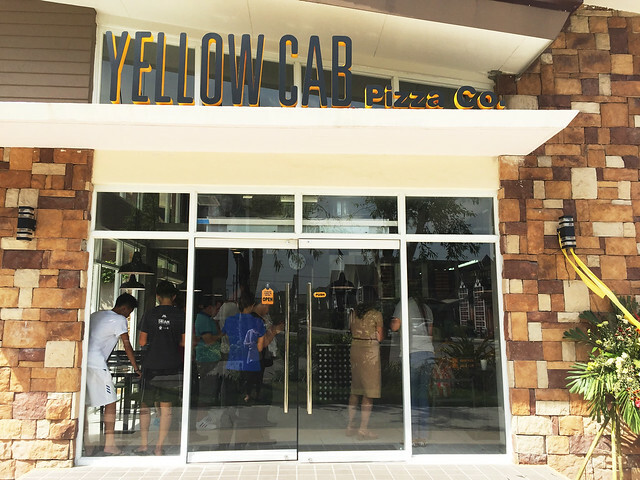 Yellow Cab Opens at Il Centrio, Sta. Lucia Mall + Pizza Making! 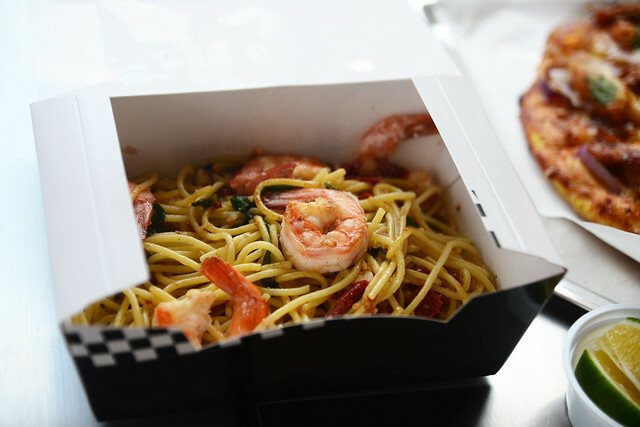 There's no denying for my love over pizza and pastas. They truly make my heart jump for joy every time I get to feast over good ones in the metro. 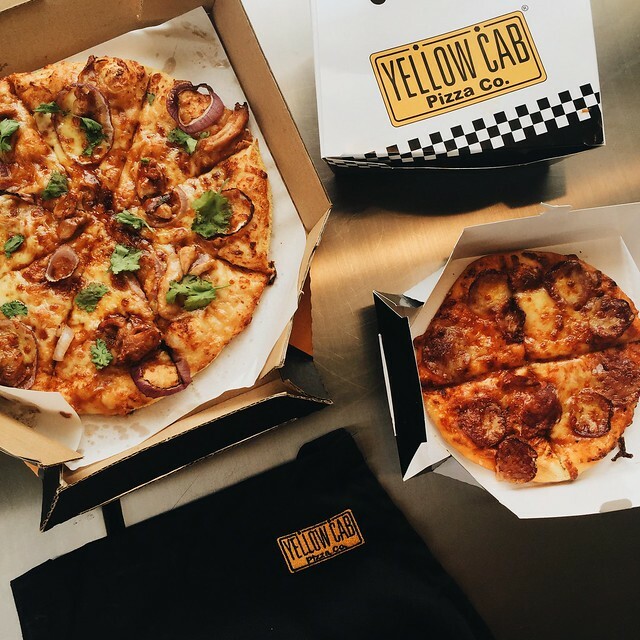 Growing up, Yellow Cab is one of the pizza chain we love visiting because of its 4 flavoured pizza and trademark ice cream. 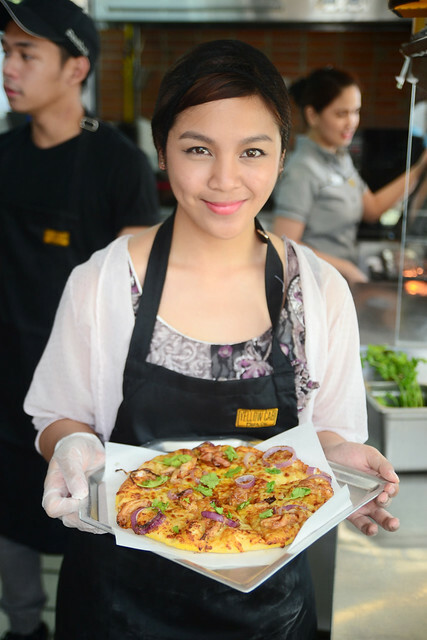 So happy because Yellow Cab adds another branch under its belt: il Centrio in Sta. Lucia Mall! 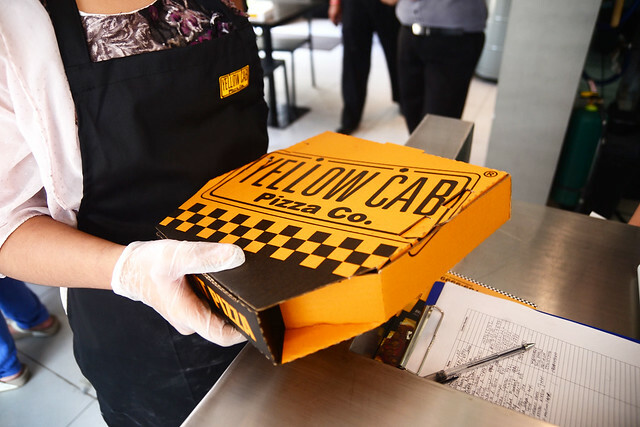 Just recently, il Centrio welcomed Yellow Cab to its roster of prominent brands to satisfy customer's in the Marikina - Rizal area. 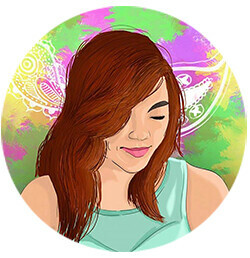 To give you a snippet about il Centrio, it is Sta. Lucia Mall's fourth and newest building that's set to diversify not just shopping experience but eating experience as well. 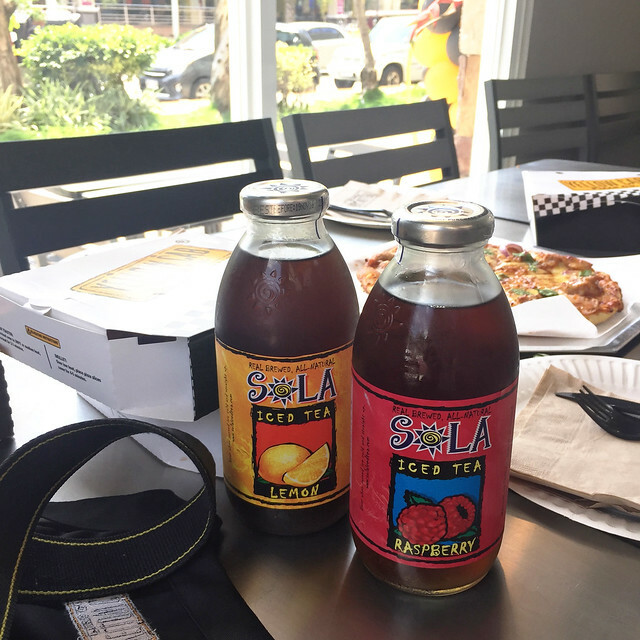 Aside from digging in these goodness, we are also set to make our own pizza. Guess what pizza are we making today? 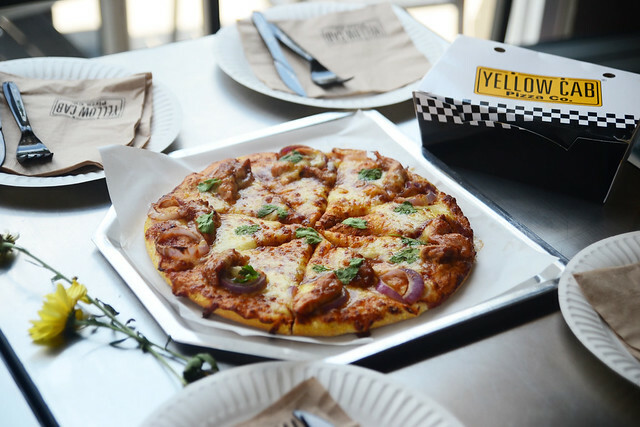 It's Yellow Cab's second best-seller: Barbeque Chicken!! Barbeque Chicken is made up of BBQ Chicken Strips, Red Onions in a hickory-smoked barbecue sauce topped with fresh cilantro leaves. The difference of their pizza making apart from my other experiences is that, they have this prepared dough a day prior to assure the right dough consistency. They also have this machine that kneads the dough in less than 30 seconds. Too cool! Basically, we just placed the toppings for the Barbeque Chicken pizza we're set to bake. 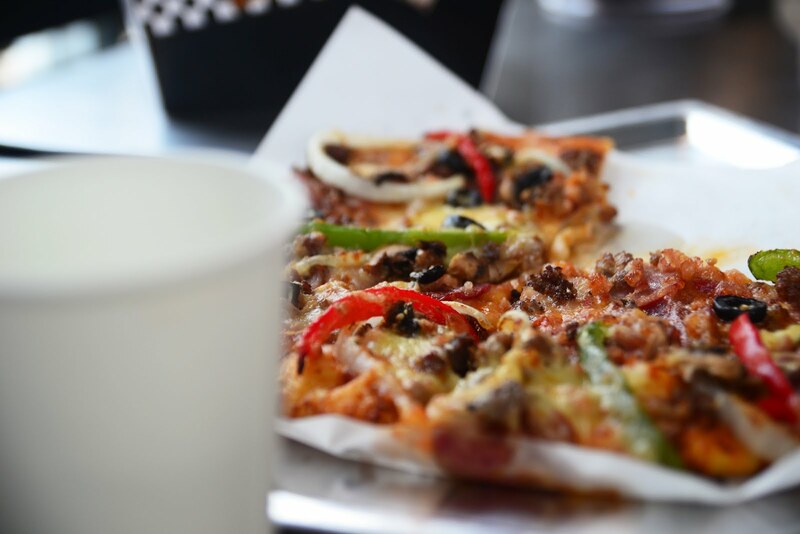 One thing I've learned from Yellow Cab is that, toppings should be placed near the edge of the pizza. Why? 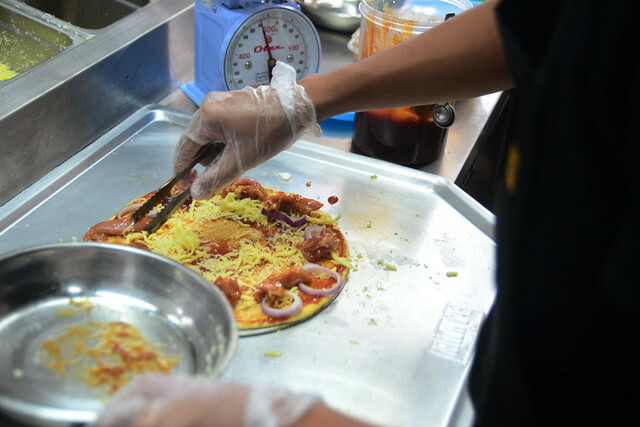 Once the pizza is being baked, the toppings are being carried by the cheese to the inner portion of the pizza. 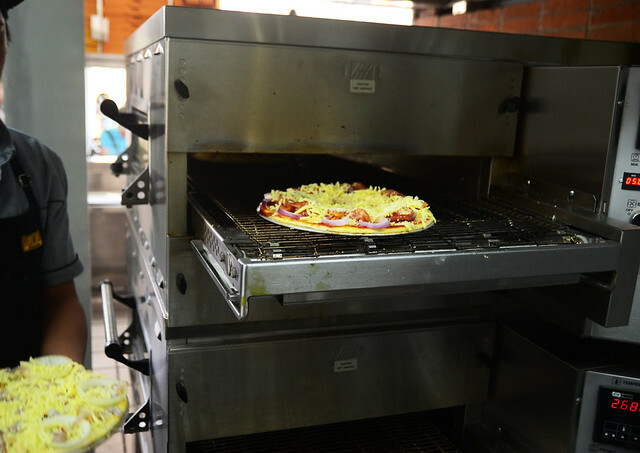 Pizzas are then placed in this unique oven for five minutes. 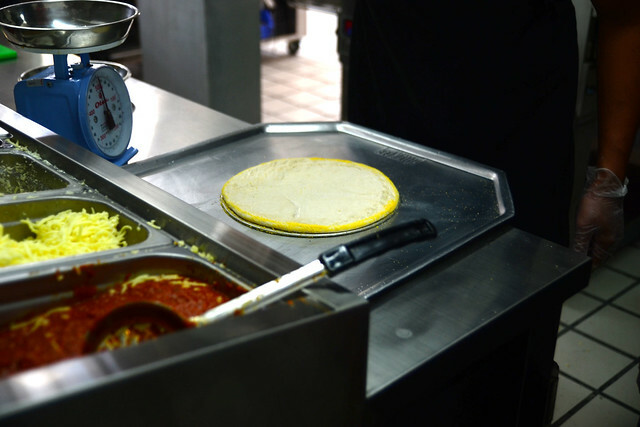 Then lastly, cilantros are added to the pizza before slicing into eight partitions. It was a quick and exciting experience I'd really love to repeat! 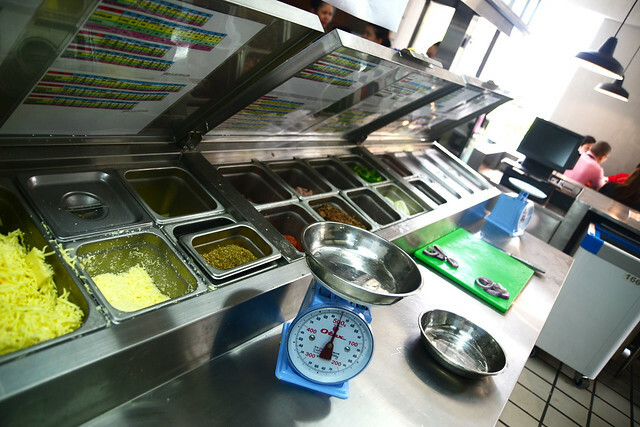 No wonder pizzas are delivered fast because of how they've invested in certain technologies to make their kitchen run as smooth as possible. It's also my first time to meet Renzo! I highly recommend you check his instagram feed at @johnaledja for great nature and portrait photos.